Little Red Wolf Artisan Gelato and Desserts joined our Mission to help provide access to “Clean Water for All by 2030”. This Mission was initiated by the United Nations. A big thank you to Little Red Wolf Artisan Gelato and Desserts’s team and customers for joining this extremely important mission on 31 January 2018. 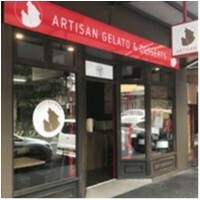 Artisan gelato made fresh in store daily! 24 Gelato & sorbet flavours, Waffles, and weekly originals concocted by our creative department. The yummiest, freshest and tastiest Gelato you will ever find! Made fresh in-store every day, the team at Little Red Wolf Artisan Gelato and Desserts don't just make gelato, they are crazy about gelato!